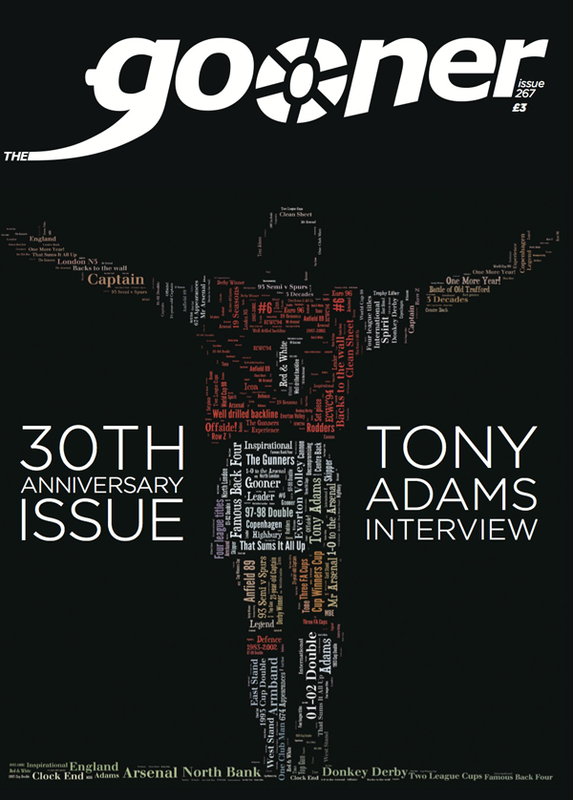 The Gooner celebrates the 30th anniversary of its first edition by featuring an interview with legendary Arsenal captain Tony Adams, and a specially commissioned cover artwork of the former skipper by artist Arwyn Thomas. 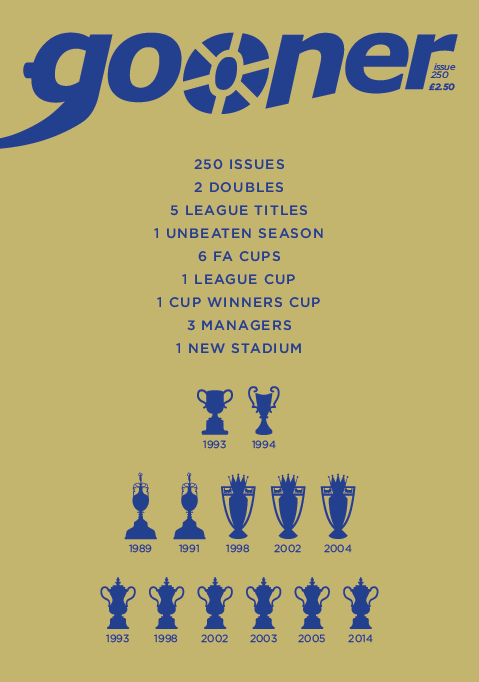 There is plenty of other nostalgia too, some of it going back even earlier than the fanzine’s debut in 1987. 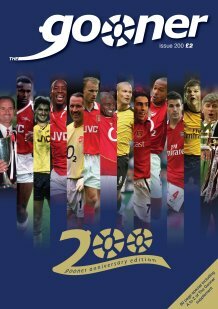 The French connection recalls the first seasons of a number of the club’s Gallic signings, whilst the debut matches of other star arrivals are remembered in another feature. There are articles looking at the commitment level of the current squad, whether or not the Gunners’ opening matches this season are a red herring and the argument that the club were right to retain Arsene Wenger as manager. There are discussion pieces on the culture of pre-match minute’s silences, the argument for Alisher Usmanov as the club’s owner, and the transfer window that closed a few weeks ago. 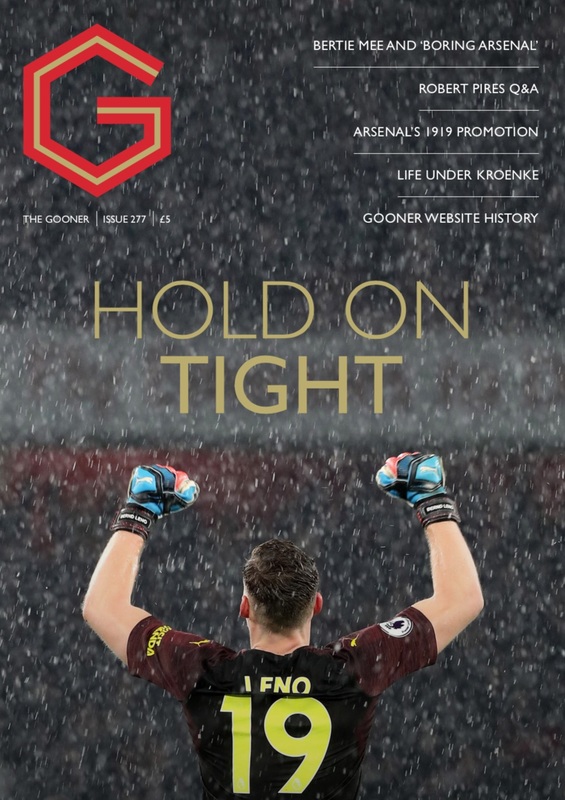 A new series – The Gooner Years – looks at how things have changed since 1987, starting with the club’s status in the football hierarchy. The departure of Alex Oxlade-Chamberlain is discussed, and the joys of watching matches at non-league level compared with the Premier League are revealed. There is humour in cartoon form - Professeur Wenger’s Weird Tales – as well as a spoof interview with Piers Morgan on his footballing life story. 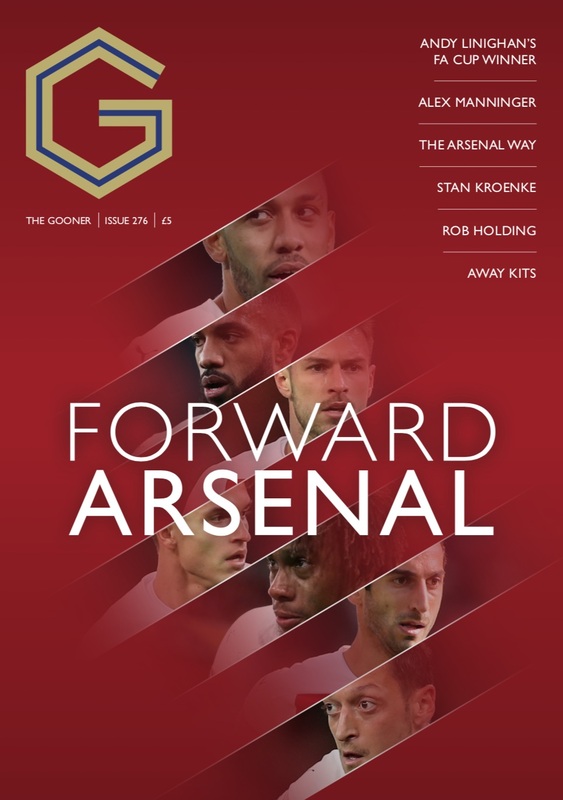 There is also a feature on the recently re-branded Arsenal Women FC. In addition, the usual regulars include Talking Reds, Well Played / Pain In The Arse, Anger Management, Mickey Cannon, Inbox, the North Bank Times and the 91st Minute. Unlike the official programme, you’ll need much longer than the half time interval to read the decent content.